Riviera Holiday Homes, a specialist holiday rental agency, offers unique accommodation in its lovely villas and apartments on the French Riviera to discover and book now. We bring you a collection of over 150 furnished villas and apartments to choose from. Be it for your dream holiday or for the more formal business trips to Nice, Antibes, Cannes or to Côte d'Azur in general. At Riviera Holiday Homes, we do our best to make sure PLEASURE remains the highlight of your stay. Come stay in our villas and apartments and we guarantee you an exceptional service and experience, nothing less than a hotel. Want to escape from the routine for a weekend or a week or even a month? Riviera Holiday Homes offers exceptional holiday experiences to suit all budgets, across the French Riviera. We founded Riviera Holiday Homes about 8 years ago. 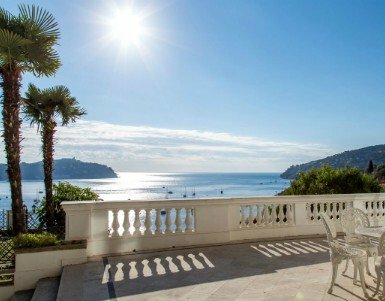 We set off with the aim to offer all the keen holidaymakers, who want to discover our lovely Côte d’Azur, a choice of rentals at their disposal: beautiful villas with great facilities and in prime locations for a wonderful stay in our beloved French Riviera. We do all we can to ensure your stay is a success! Although the vast blue skies, the generous sun and the clear blue waters will take care of most of it, we look after the rest. At Riviera Holiday Homes, passion and energy is something you will see at display all the time: Helena brings her international flair and Lucienne, her intimate and enthusiastic knowledge of the Côte d’Azur. Welcome to Riviera Holiday Homes!